In a quiet location, in a cul-de-sac with no passing traffic, Mas Mirasol is set in mature, lawned gardens of oleander, roses and a shady mulberry tree. In a quiet location, in a cul-de-sac with no passing traffic, Mas Mirasol is set in mature, lawned gardens of oleander, roses and a shady mulberry tree. The property is well-furnished in typical French style and the living room has a fireplace French windows onto a terrace with sun awning. The friendly owner occupies self-contained accommodation at the rear of the property. Set midway between the lively town of Apt and the village of Gargas, the property is well placed for exploring the beautiful countryside. The nearby village of Roussillon is an amazing sight - set on an ochre hill. The area abounds with picturesque villages and beautiful rolling countryside of vineyards, sunflowers and lavender fields. This modern villa is made from brick or stone and was built in 1972. The agent has rated it as a three star property so it is a well-kept villa, equipped with standard furniture. It is also good value for money. 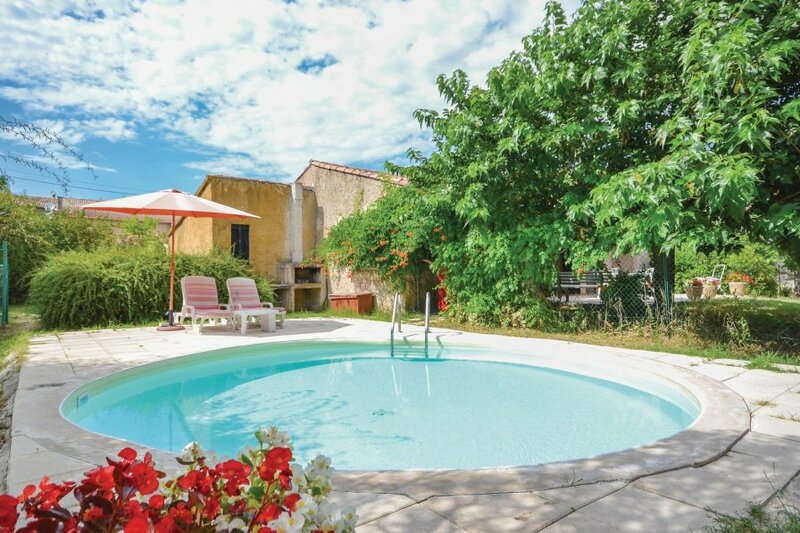 This villa has a private pool and is located in Gargas, only 3km from Apt. It is set in a convenient location, 2.5km away from a lake. There's also a restaurant 1km away. You can also park on-site at no extra charge. The villa is well equipped: it has a microwave, washing machine and dishwasher. It also has a barbecue, a garden and some garden furniture outside.